Ever since it was invented the late 1870s, the microphone has become a necessity in the world of music, sound projection, and recording that it remains today. Of course, since the 1870s, the microphone has become much more of a commodity, and with that came a massive surge of companies making their own microphones — which in turn sprouted the wide range of types, shapes, sizes and ideal applications of microphones that we have today. But how do you differentiate one mic from the other, and know what to use in your specific situation? That’s where we come in — here is all of the basic, necessary information you need about microphones, and how to find the perfect one for you. One of the biggest, and most important determining factors in microphones is the type of microphone you are dealing with. Microphones break down into three category types, and in the end, there are a few reasons why knowing the different types is important. Not only will knowing the types help you identify which microphones to use in any given situation, but it could also ensure that you don’t damage microphones by using them incorrectly. Here are the different types of microphones, their differences in sound, and what to use in specific settings. The first type of microphone, and arguably most common, is the condenser microphone. This type is known for its low-noise, and high-quality capturing of sound. In order to achieve this however, condenser microphones require an extra 48 volts from an external source of power. This extra power is most commonly referred to as “phantom power,” and it is typically supplied to the microphone through either a recording console or microphone preamp within professional or home recording studios, or from a mixing console in the live sound setting. Additionally, there’s more than one type of condenser microphone. One common type is called the “tube condenser” microphone — which comes with its very own special power supply box that draws power directly from a nearby socket. This is the only type of condenser microphone that you do not want to provide phantom power to, because it would clash with the special tube power supply, and could potentially damage the microphone’s capsule. However, if you are just getting started on your journey of microphone searching, don’t worry too much at this point, as these microphones are almost always found strictly within high-end recording studios, and are very expensive to purchase. As such, for recording amateurs, we recommend steering clear from tube condenser microphones. Because of its high-definition clarity, condenser microphones are traditionally used primarily to capture sounds from more intimate acoustic instruments and sources such as vocalists, acoustic guitar, and piano. However they are also used a lot to capture the sounds of sources from further back to hear the presence of the room they are recorded in as well. A common example of this is their utilization when recording a drum kit. They can typically be found capturing the cymbals and overall acoustic energy of the entire kit from a couple feet overhead, or even from across the room. The next type of microphone is also the easiest to use right out of the box. 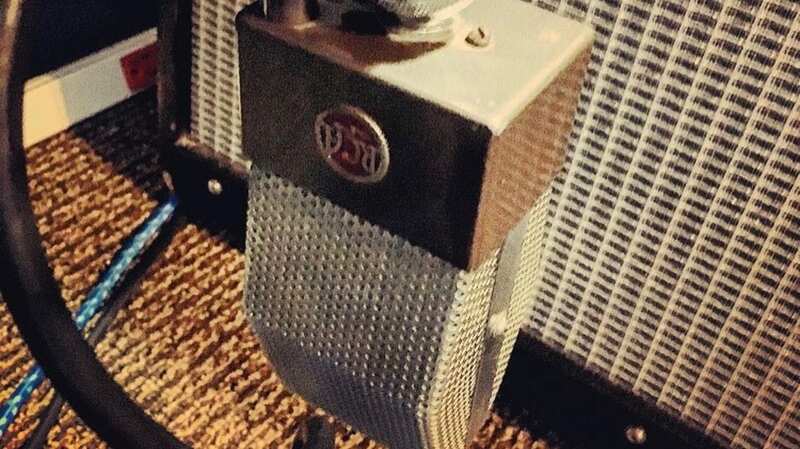 Dynamic microphones are also commonly found in recording studios, primarily close up to capture individual drums as they are hit, or on guitar and bass amplifiers. This type of microphone can also be found in live sound amplification (during a concert or event), since they are very easy to set up and are great for recording a great sound during a temporary performance. Dynamic microphones do come in a variety of shapes and sizes, but traditionally, they have the look of what most everyday people would picture a microphone to look like if asked. A long handle, with a ball-shaped diaphragm on top with a metal cover over it. If you are still at a loss, go to a nearby concert tonight — more likely than not, the lead singer will be singing into a dynamic microphone. Like we touched on earlier, dynamic mics are the easiest to set-up and use, and contain the simplest internal electronic circuit out of all three types of microphones. Because of this, dynamic microphones have been known for their ability to take a good beating — although we don’t recommend throwing your brand new microphone out into the street just to see what it can take. Dynamic microphones do not require phantom power to run, but will also not be as fragile as a tube condenser or ribbon microphone would be, if phantom power were accidentally applied to it. Sound wise, dynamic microphones naturally come with a lower-quality sound pickup, and can certainly pick up more room and have a higher noise level than their condenser or ribbon counterparts. Although that is not to say that they sound bad, as there have been many great records made using only dynamic microphones. In the end, it is all about knowing the right purpose and application for the right microphone. Last but not least is the ribbon microphone. This microphone type is the oldest of the three, dating all the way back to the birth of the microphone — as it uses the same technology as some of the first ones ever made. This specific difference in technology is exactly what gives this class of microphone its namesake. Ribbon microphones capture sound using a very thin, metal, magnetic “ribbon” that vibrates and flutters back and fourth as acoustic energy is picked up by its capsule. 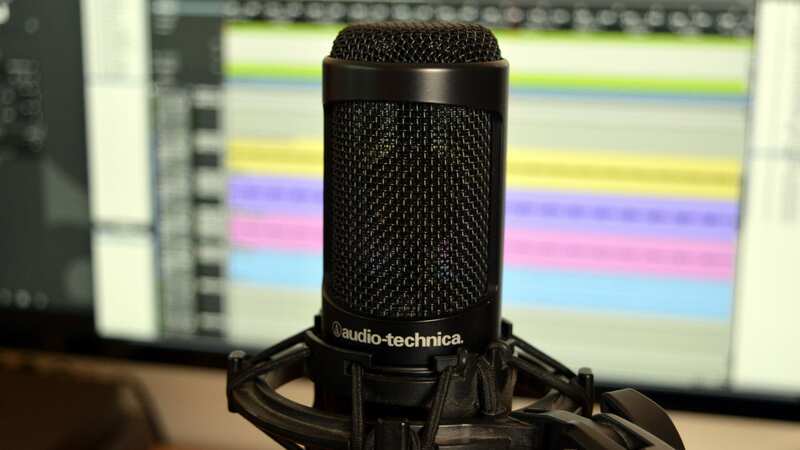 Although the technology is old, it is still very relevant in today’s modern recording world, as the quality of sound it captures is next to none — even the condenser microphone. Because of this dated (but again, still quite relevant) technology, ribbon microphones are quite fragile by nature and should be handled with the utmost care. 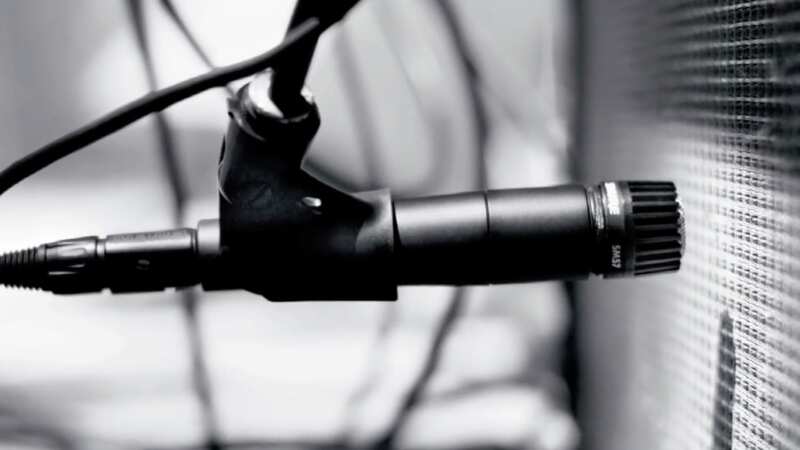 Ribbon microphones are almost never used in a live setting because of their fragility, and therefore are almost exclusively found in recording studios. Ribbon microphones could also be considered the most versatile microphone type of the lot, as you will find them next to a guitar amplifier just as often as you would being used as a room microphone or in front of a singer. Now that you know the three types of microphones you will find available in today’s market and how to use them, the next thing you need to learn about is microphone directional patterns. 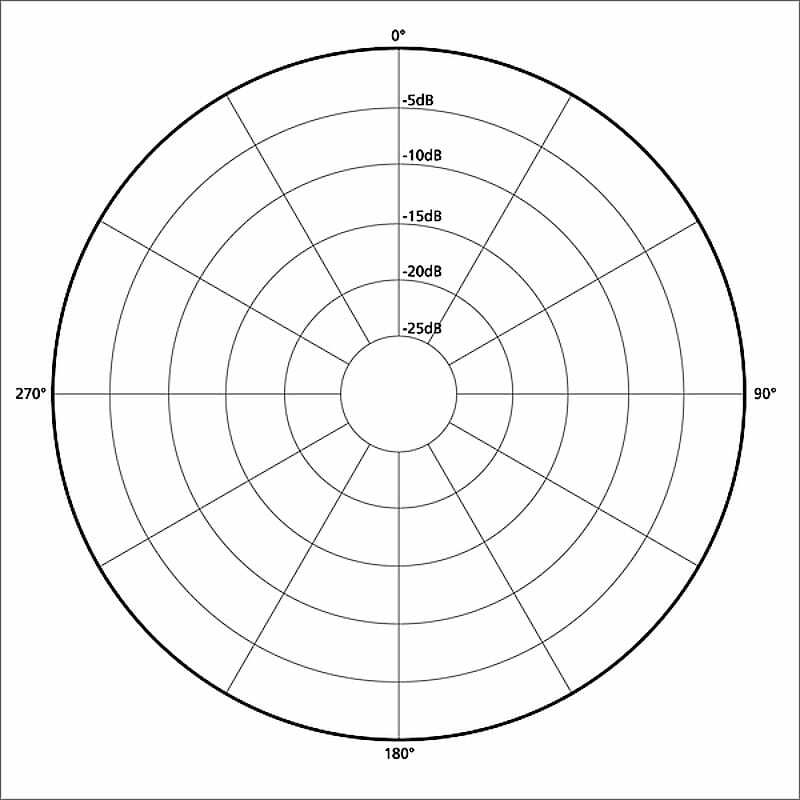 As a whole, directional patterns are broken down into three categories, however some categories also have different sub-categories of directional patterns. Additionally, many condenser and ribbon microphones will contain a switch on them, allowing you to choose from a few different polar patterns that it is able to pick up. Having this information on hand is key to knowing exactly which side of your microphone is picking up sound, and in what polar pattern, so that you can place it exactly as necessary. The first, and most commonly found microphone pattern is the cardioid polar pattern, which also has its own individual sub-categories within this type. Dynamic microphones almost exclusively pick up sound in one of the cardioid patterns, however they are found in each of the other microphone categories as well. 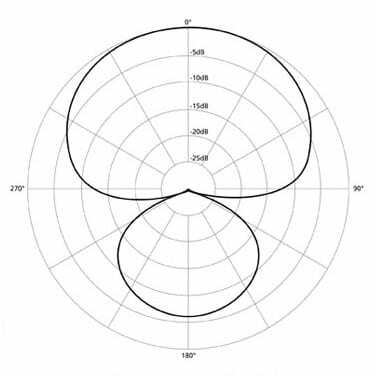 The first pattern is the standard cardioid pattern, also referred to as “directional.” The diagram above shows exactly how microphones with a standard cardioid pattern pick up sound. Think of the entire diagram as a “room” that’s being looked upon from a birds-eye view. Then, look towards the center of the diagram and imagine that the microphone is placed directly in the middle of the room, facing towards a front wall which you see as the top of the diagram. 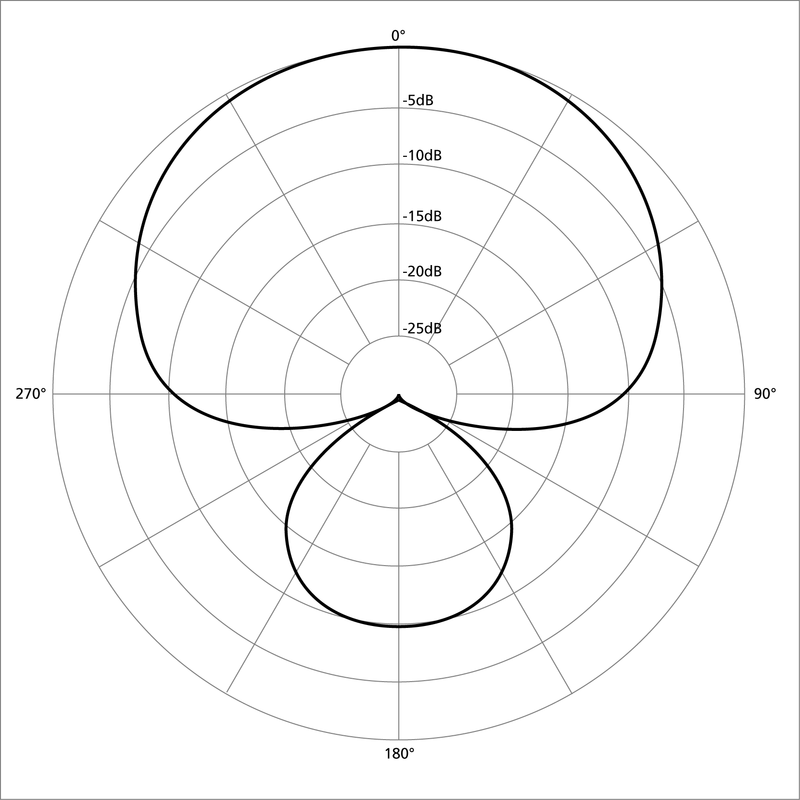 The thicker black outline represents the pattern in which the microphone is picking up sound, and the further back the sound source is moved away from the center of the room, the less the sound is picked up as a whole. 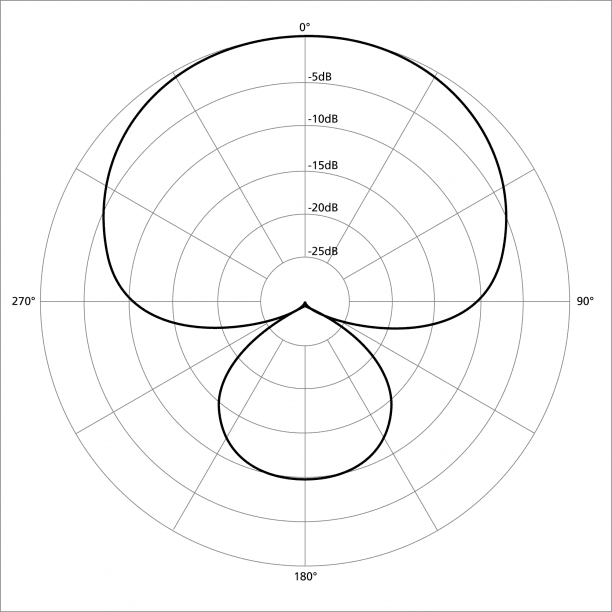 In cardioid pattern, the microphone is capturing the majority of its sound directly from the front of the microphone, and small amounts on either side of it as well. 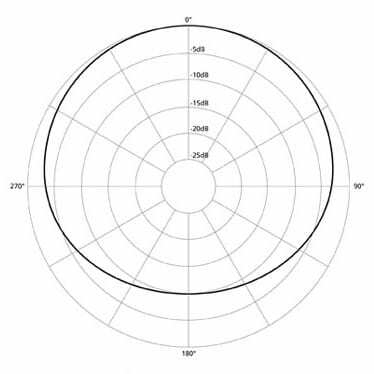 In the supercardioid polar pattern, the bulk of sound that is picked up by the standard cardioid microphone remains, while less sound is picked up on the sides, and more of it is allocated directly behind the original sound source. This allows for some sound to be let in through the other end of the capsule, while keeping the majority of input coming through the front. Last but not least in cardioid polar patterns are the hypercardioid and subcardioid pattern types. These are found least commonly among cardioid microphones, but as you can see, compared to the supercardioid polar pattern, the hypercardioid microphone allows for even less signal to come in through the sides, and more to come in from the back. 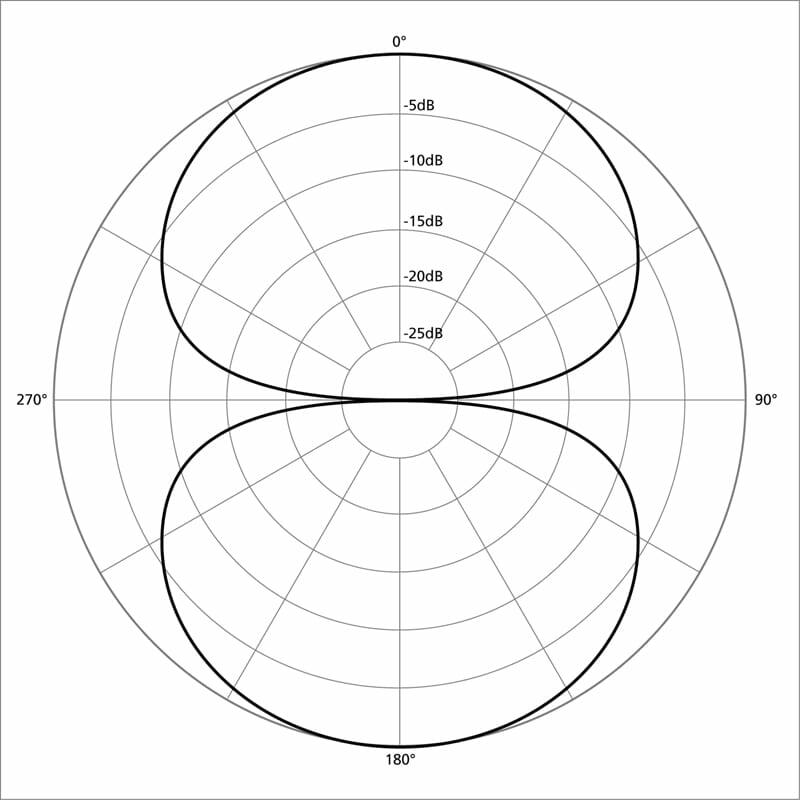 And in the case of subcardioid microphones, its polar pattern resembles more of that of an omnidirectional polar pattern (which we will get to), but is distorted into more of an oval, uneven shape. A microphone containing a bi-directional polar pattern will mostly be found within the family of ribbon and condenser microphones, although there are some few-and-far-between dynamic microphones that pick up sound in a bi-directional pattern as well. 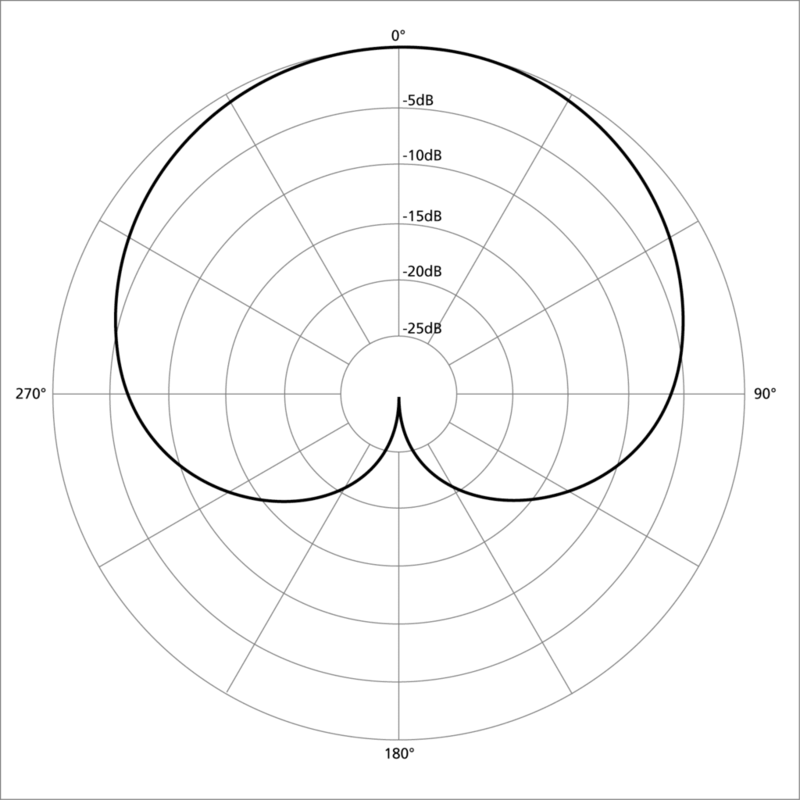 As you can see from the diagram, this microphone resembles much more of that of the standard cardioid pattern, with less allowance to the sides, but picks up equal directional patterns from the front and back of the diaphragm. Finally, the last commonly found polar pattern among microphones is the omnidirectional pattern. Again, this is most commonly found among condenser and ribbon microphones, and as you can see it allows for equal amounts of signal to pass through around the entirety of the microphone. This is a great polar pattern to use when capturing the sound of an entire room, or simply when recording a small group of singers using only one microphone. Although it seems as though there is a lot to know and remember when it comes to microphones, it will all get much easier to understand and retain simply through repetition and practice. With that said, it is also important to remember some other aspects of microphones before making your purchase. One additional detail that is important to note when making your purchase decision on a new microphone is the diaphragm size. Microphones typically come in the forms of either a small-diaphragm or large-diaphragm microphone. What this is referring to is the relative size of the microphone’s body, the capsule which picks up the sound, and the housing around it. Dynamic microphones almost always come standard with a small-diaphragm setup, whereas condenser and ribbon microphones can be found in either the small-diaphragm or large-diaphragm variety. Generally speaking, a small-diaphragm condenser or ribbon microphone is easier to use in situations where you have to sneak the microphone around a large drum kit to place it just right, without sacrificing quality in a situation where a dynamic mic just won’t do the trick. Finally, the last thing you’ll want to consider with your microphone purchase, is the kind of connector it uses. Most of the time, the connector that microphones come standard with is called an “XLR” cable. This is a circular connector with 3 pins at the bottom, which fit into the female end of a full XLR cable, that you will also want to buy to connect it to its next destination. 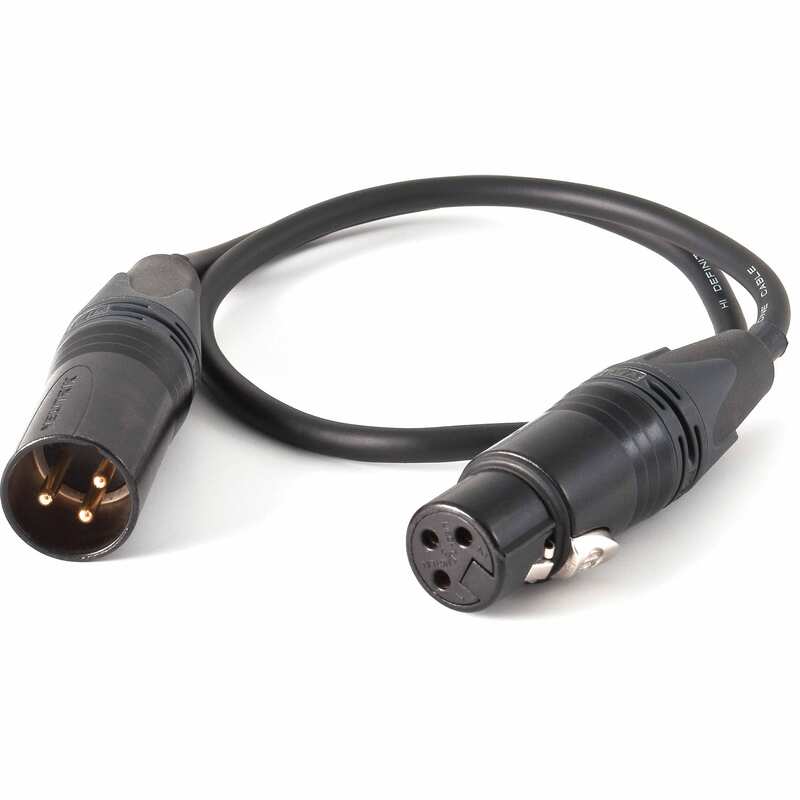 Another type of connector that is much less commonly used among microphones, and usually is only found in some tube condenser microphones is the 5-pin or 7-pin XLR cable. These cables looks similar to the standard XLR cable, but, like its namesake suggests, it has 5 or 7 pins instead of 3 inside. Unless you’re planning on spending the big bucks for a tube condenser that uses one of these connector types, you probably don’t have to worry about buying one of these. The last connector you may have at the end of your microphone in lieu of the standard XLR, is one of the USB connection types. This connector comes standard with a variety of starter microphones, and the difference in them is that rather than processing analog audio through the microphone itself, USB microphones will also convert the signal passing through to a digital signal all in the same device, so that it can be connected straight into a computer without anything else in between the two. 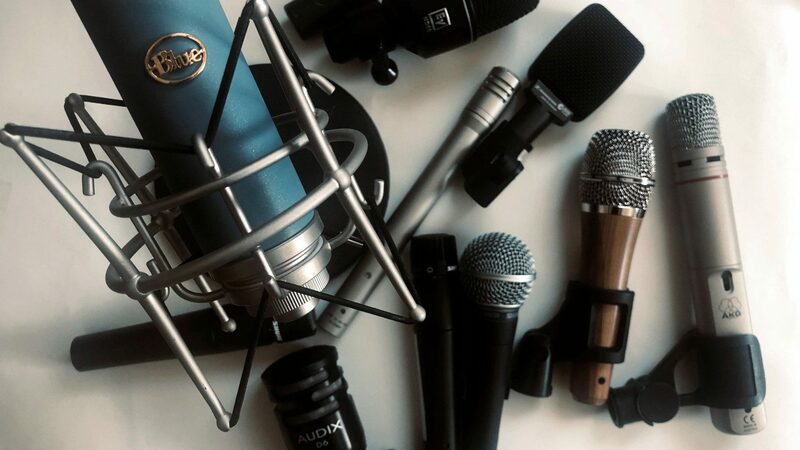 In the end, there’s certainly a lot to consider before making your first microphone purchase. But of the wide range of microphones that are available on the market today, you can easily deduce which one is best for you, and your own purposes just by asking yourself the right questions pertaining to your needs. We hope this helped you better your basic understanding in knowing the difference between microphones, and how aspects like microphone type, polar pattern, connector and diaphragm size can help you find the right one for you.